Air Turquoise was a low-cost airline based in France. 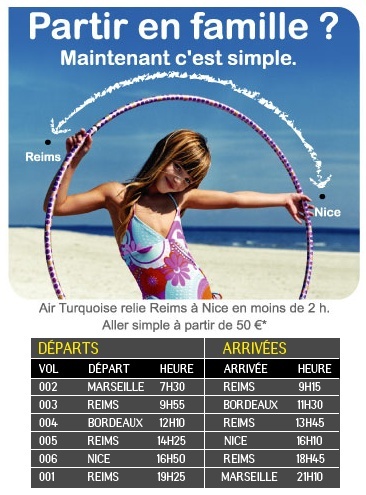 It operated services to Marseille, Nice and Bordeaux from Reims Champagne Airport. The airline was liquidated on 2 August 2006. Air Turquoise is no longer in active service.